There are some people who won’t understand the title of this article. 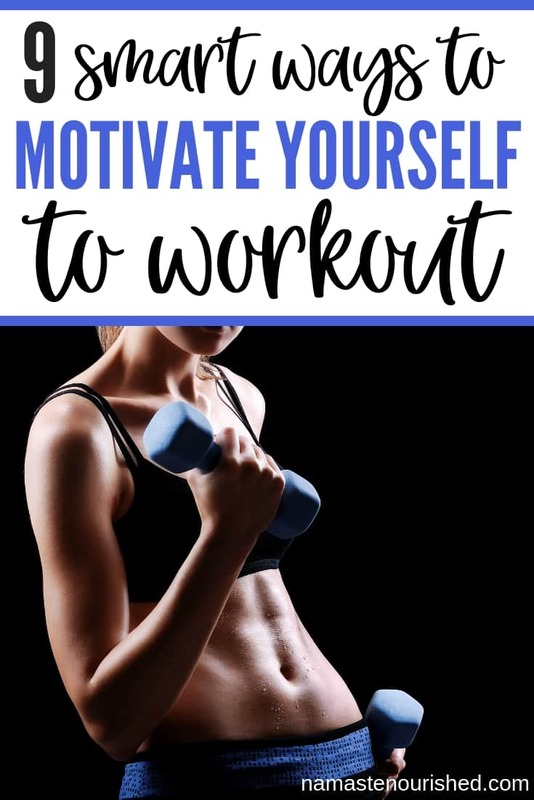 They’ll think to themselves, what does that even mean – “how to motivate yourself to workout?” Those are the types of people who have been going to the gym for years, absolutely love it and couldn’t imagine skipping a day. But the fact is, it’s not always as simple as that, especially when you’re first getting started. Maybe you’ve bought a gym membership recently and you’ve gone once or twice, but you can’t seem to make a habit out of it. If that sounds like you, then I completely get where you’re coming from. Even though I’m a qualified personal trainer, I’ve been there. Once I realized that I’m not one of those people who can eat whatever I want and stay in shape (not to mention the fact that I started to feel like crap inside) I made up my mind to start eating healthy and going to the gym again. The eating healthy part was the easy part for me. But despite the fact that I had a free gym membership to an awesome, brand new, state of the art gym, I couldn’t figure out how to keep going to the gym. Then I’d get home from work on Monday and I’d be feeling pretty tired. I’d realize that I hadn’t prepared anything for dinner yet, so I’d go ahead and do that. Then, of course, The Bachelor was on, so I had to watch that. Then it was 10pm and I was crawling into bed. Tuesday, I would decide that this was it. I’m going to the gym. So I’d make the effort and go, feeling great about myself. I feel like that’s a pretty common scenario. In fact, I know it is. I’ve talked to so many people who’ve said that it sounds exactly like them. But the good news is, you CAN make going to the gym a habit. The first thing you need to do is sit down and determine your why. There’s no right or wrong with this. There’s no reason that’s better, more noble, etc., than another. Don’t write down a “why” that “sounds good” but doesn’t truly resonate with you. If your number one goal for wanting to go to the gym is to lose weight and feel confident in a bikini, and that goal makes you truly excited inside, then THAT’S YOUR WHY. 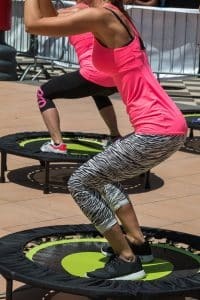 If you want to get fit enough to be able to keep up with your kids at the playground, and the idea of being able to do that makes you want to cry with happiness, then THAT’S YOUR WHY. A “why not” is ALWAYS going to pop up. It’s too cold outside. It’s too hot outside. I had a long day at work. I don’t feel like getting out of bed. I have a headache. When your why is big enough, it’ll always overcome your why not. Your why is going to be your biggest motivator – it’s your end goal and it’s the thing you’ll be reminding yourself of every time you don’t want to go to exercise. But if creating a regular gym routine was as simple as coming up with a big enough why, no-one would struggle with going, would they? An extra layer or two of motivation can really help you keep going to the gym on a regular basis. Money is a huge motivator for most people (it’s why we keep going to work when we’d rather just relax on the beach all day.) If the prospect of winning some extra cash sounds like it would be motivating to you, then check out HealthyWage – you can win up to 10k by reaching your fitness and weight loss goals. If you’re completely new to the gym, it’s common to feel out of place, like you’re not supposed to be there, everybody else knows what they’re doing, and that you stick out like a sore thumb. First of all, I want to affirm for you – if you want to be in the gym, then you ARE supposed to be there. No matter your weight, current fitness level or lack of knowledge, you have every right to be in the gym. Next – contrary to how it may appear, not everyone you see at the gym is some highly experienced, gym pro. That person you see doing deadlifts in the corner? A year ago, they might not have even known what a deadlift was. We all start somewhere. Finally, think about your reason for being in the gym… It’s to work on YOU, isn’t it? That’s the exact same reason why everyone else is there. To work on themselves. That means they’re not paying attention to you and what you’re doing. You don’t stick out like a sore thumb, so don’t worry about that for one more second. To make something a habit, it’s important that you do it every single day, and preferable at the same time of day. This is especially true for exercise. If you determine that every morning you’re going to set your alarm for 6am and go to the gym, you’re training your mind and body that 6am is wake up and workout time. This makes it a lot easier to establish a regular workout habit because you’re body and mind come to expect that you’re going to workout. This doesn’t mean that you need to do a full body intensive workout 7 days a week. In fact, it’s actually important that you give your body time to rest. But try to get into the mindset that every day, you’ll move your body in some way. It can be daunting stepping into a gym when you’re not really sure what half of the equipment is, and you have no idea what you’re supposed to be doing. Additionally, you run the risk of injury if you incorrectly use equipment, lift weights that are too heavy, use incorrect form, etc. If you’re alone at the gym and find yourself unsure of how to use a certain machine or do a certain movement, a great resource is Bodybuilding.com. Just google the exercise name + bodybuilding and the first result will almost always be a video tutorial from Bodybuilding.com. One of the biggest keys to making exercise part of your routine is to make it a priority. This means scheduling gym or exercise time into your day. A lot of people find that scheduling their workouts for the early morning works best for them, but this isn’t a rule by any means. If you’re absolutely not a morning person, then you’re unlikely to get up 4am to workout, regardless of whether it’s written in your daily calendar. If that’s the case, maybe lunchtime or the evening will work better for you. The key is to find the time that is most realistic for you, schedule it in and stick to your schedule. If you’re not following a program, it can be a lot harder to stay motivated. Rather than arriving at the gym knowing exactly what it is you’re doing that day and getting it done, you’re likely to kind of float around, walking from machine to machine, wasting time and feeling kinda dejected. Sound familiar? To avoid this, I recommend following a workout program. If hiring a personal trainer to create a personalized program is out of your current budget, then Aaptiv is the next best thing. Aaptiv is the number #1 rated fitness app on iTunes, and for good reason. It’s essentially like having a personal trainer in your pocket, available 24/7. You choose your workout (there are hundreds to choose from, including weight training, elliptical, running, even yoga and meditation) put your headphones in, and your trainer will guide you through the entire workout. If you want to give Aaptiv a try, click here for a FREE 30-day trial. Keeping track of your progress is one the most important things you can do. It allows you to see what’s working at what isn’t working, identify areas you can improve on, and helps to keep you motivated. Time/speed/distance for things like running, elliptical, etc. Depending on your goals, you might want to tweak these. If your goal is weight loss, then obviously you’ll want to your calorie intake and body weight, along with the other three. 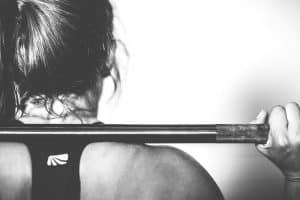 If your goal is purely to increase your strength, then tracking your bodyweight and body measurements may not be of as much importance as tracking the weight and number of reps you perform. Like all things, find what works for you. I’m a big advocate of rewarding yourself when you reach a goal. Whether it’s a short-term goal, like going to the gym 4/week for a month, or something longer-term, like reaching your goal weight, it’s important to reward a job well done. You might reward yourself with new pair of running shoes, a mani/pedi, a massage, a night in a fancy hotel or a new piece of jewelry – choose something that excites you, put aside some money each week and then go ahead and spoil yourself a little! Reward yourself – choose something that excites you! I found this article really helpful! Thank you!